Acrylic on panel. 36 x 36 inches. Paintings based on the aesthetic and concept of slit scan photography, a process by which images are reduced to a single vertical or horizontal plane. Sequences of film and video are condensed into a single still which stretch across the panel. 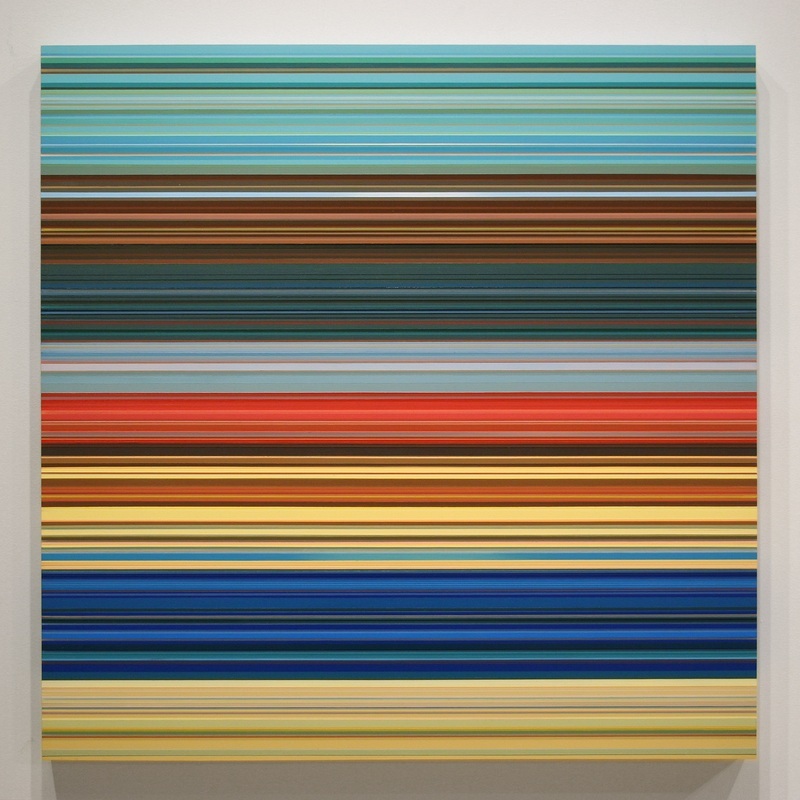 While on one level the single image represents an abbreviation of time, the optical vibrations and shifting color relationships bring the painting back into the realm of time-based media.